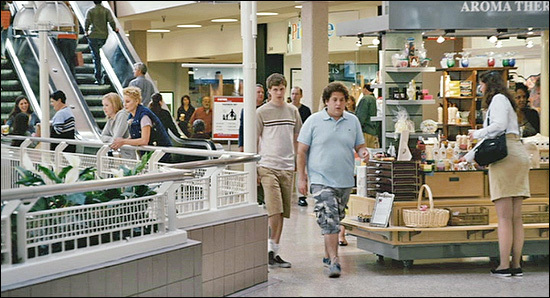 the 2007 movie "Superbad" was filmed. 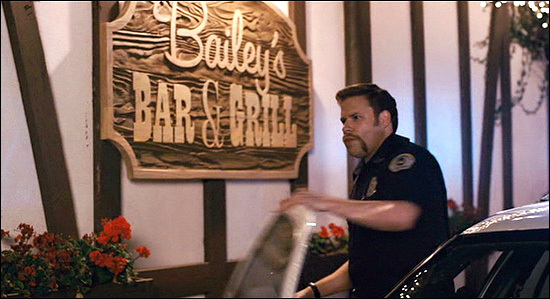 where McLovin' becomes an accidental hero when he helps the cops catch a bad guy. They sit at the bar, drink beer, and watch the store video of him getting punched. at 7420 La Tijera Blvd, in Westchester, CA. 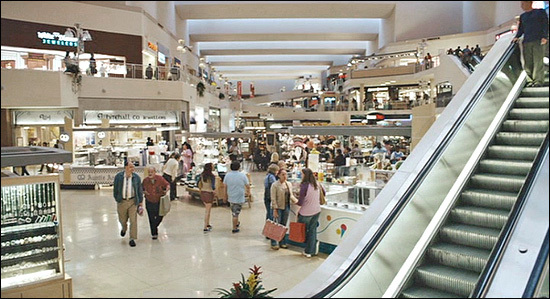 about a mile northeast of Los Angeles International Airport (LAX). 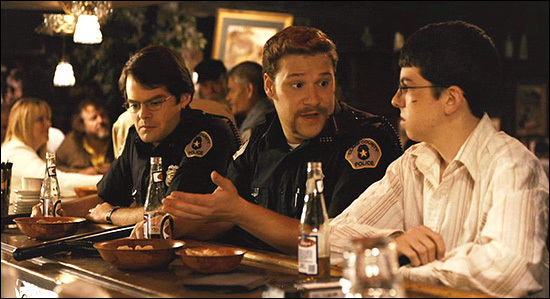 Seth & Evan accompany Francis to a rowdy house party, in hopes of stealing the alcohol they need. Seth & Evan to flee - but not without a quantity of purloined booze. 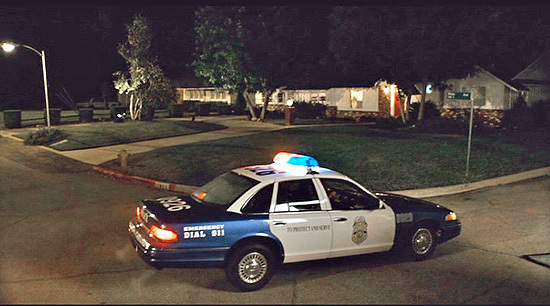 That party house is located in the Valley, at 17711 Community Street, in Northridge. It's less than a mile southwest of Evan's home. and get into an argument, where Evan accuses Seth of bailing on him. the other (west) end of the street, at the corner of Community St. & Jamieson Ave. The house in the background is at 8353 Jamieson. 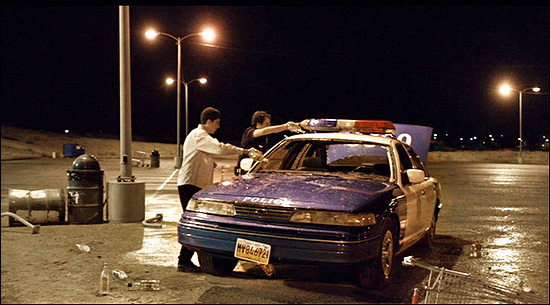 Just then, the two cops show up (with 'McLovin' in the back of their car), and run right over Seth. the neighborhood, but are too out of shape to keep up with them. of Community & Jamieson. The house seen is at 17822 Community Street. knock on their doors, or do anything else that might disturb the residents. 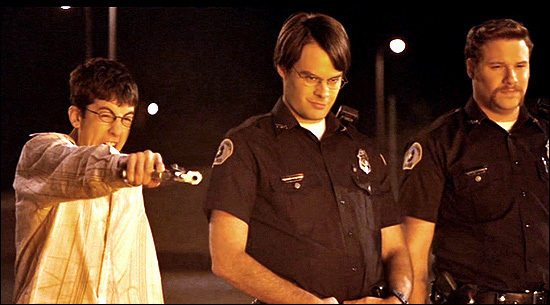 themselves in a confrontation with the hostile drunk that McLovin' helped catch at the bar. 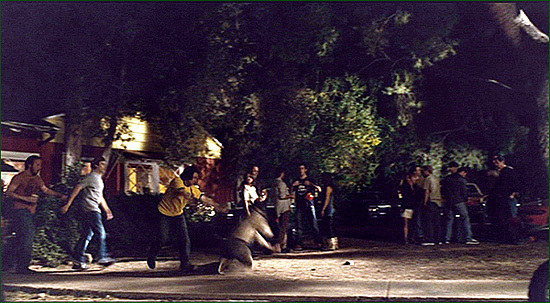 (still carrying the remaining booze) was filmed on the 4100 block of Overland Avenue. 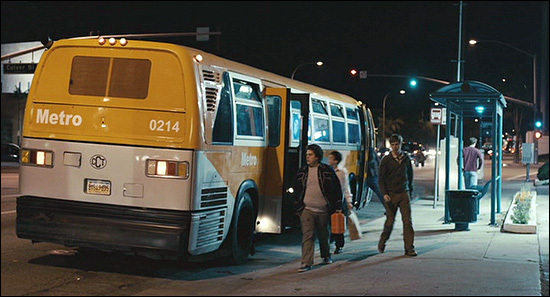 The bus shelter is at the southeast corner of Overland Ave & Culver Blvd, in Culver City. They then walk south, up the east side of Overland, heading for the party house. The boys finally make it to their girlfriends' party, hoping to get lucky. But it doesn't quite work out that way. 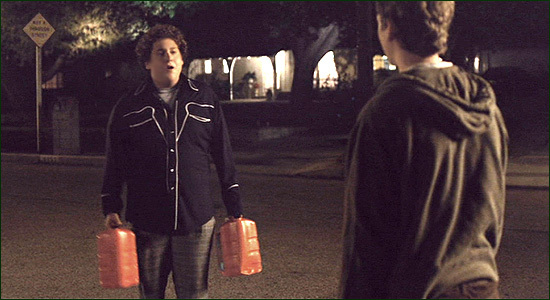 Seth is a hit for bringing the booze, but strikes out with his girlfriend because he's drunk. Evan's girlfriend throws herself at him, but he resists because she's drunk. dragging him out past the crowd of impressionable teens, while he plays tough guy. in Brentwood, just a few houses north of Sunset Blvd. Aerial photos seem to indicate that the poolside gazebo in the back yard is real. Lassen Street & Lindley Avenue, in Northridge (in the San Fernando Valley). each heading off in different directions with their new girlfriends. at the east end of the Marina Del Rey (90) Freeway, just east of the San Diego (405) Freeway. and only two miles south of the mini-mart location. 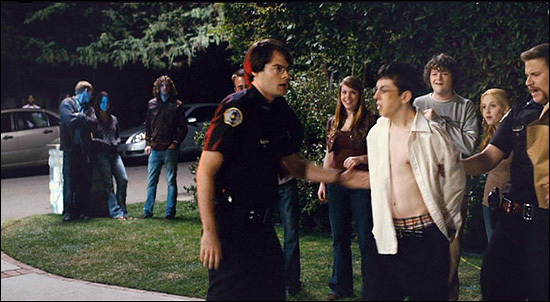 The photos on this page are stills from the DVD of "Superbad"
(which you can buy by clicking here) and are copyright Columbia Pictures.